Looking for a delicious summer cocktail idea? Try infusing your cocktails with homemade jam! We learned this trick in our jam making classes with food stylist, photographer and caterer The Brooklyn Fräulein. 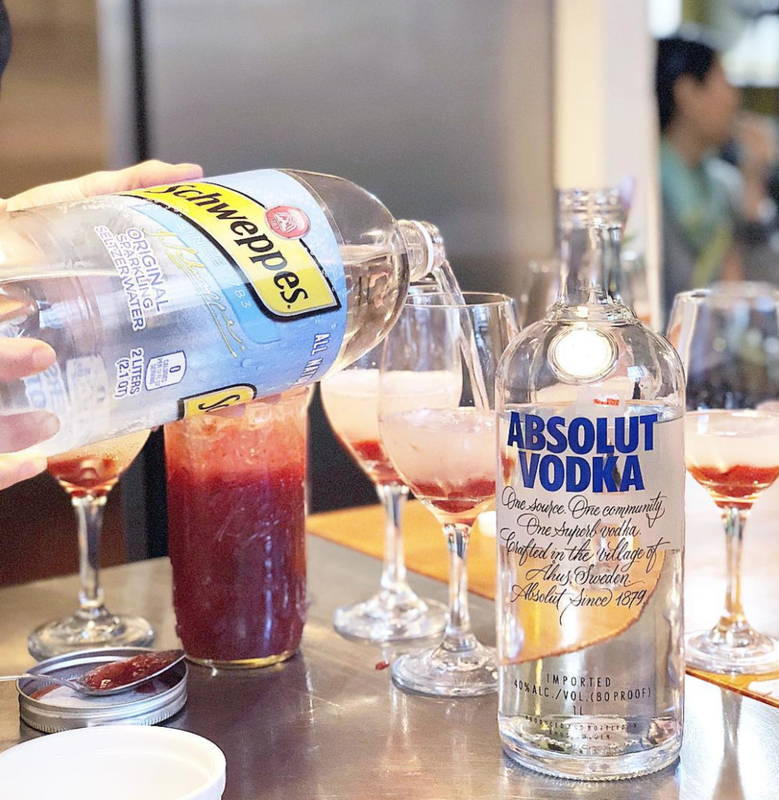 She taught us how to make Strawberry Rhubarb Rosemary jam from scratch, and that adding a spoonful or two to our mixed drinks creates a refreshing, fruity, and fun elixir! Have some fun with this recipe by experimenting with different jams, alcohols, and garnishes. Follow Leisurely and sign up for our newsletter to stay informed about the most unique cooking classes in NYC!